PATARA WIMBLEDON - THAI RESTAURANT - NOW OPEN - What 2? 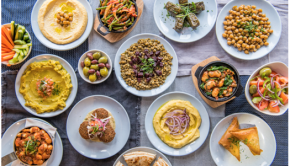 The Patara restaurants are no strangers to the food scene but they have recently opened their new branch in Wimbledon, which is receiving a fab response. 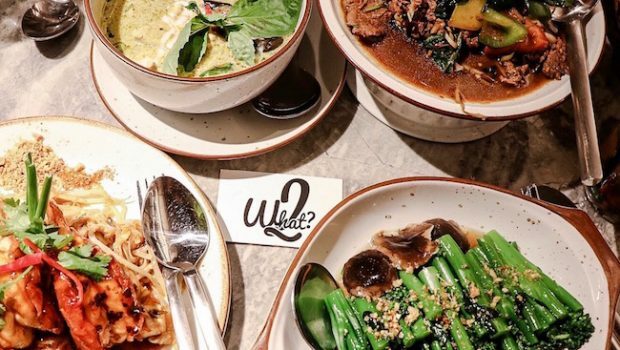 We are big lovers of thai food but we’re totally newbies to the famous Patara and must say, we wish we had tried these guys sooner. 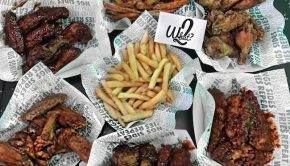 With plenty of locations around London and the world, these guys are defo masters of what they are serving… its not surprise a new branch had landed. Although the Wimbledon branch is the newest, we were blown away with how packed the restaurant was. 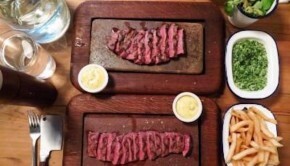 The vibe and atmosphere complimented the food along with the outstanding service. Parara’s menu features a range of curries, meats, rices/noodles and chefs special. I strongly suggest you trying something new as you won’t be disappointed. 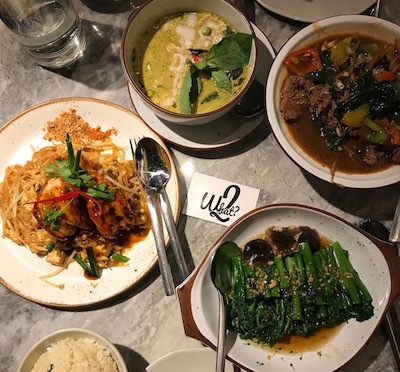 We feasted on their thai green curry, wild ginger beef and a selection of what was recommended to us. All dishes we’re tasty. ay attention to the heat, as we couldn’t handle how spicy some of our dishes we’re. (You guys know I’m still a beginner with spices). In relation to other famous thai chains, Patara may be a little more expensive… but defo not a pocket burner! If you’re looking for a weekend eating spot, with a date or a few mates, then patara is the place. Hints and Tips: They have a great drink menu too… although i stuck to mojitos.